The sentences above are similar to “Happy New Year” in English. The first two is used by almost everyone, while the last one is used when a young person pays a visit to an elderly or respected person. With the rapid spread of Internet, the methods of Bainian have developed into a great variety of forms. There’s no need for you to express greetings from door to door if you are busy. Alternatively, you can send e-mails, online videos, e-cards, or text messages to give a new year’s wish. As for greetings, there is no difference in expressions resulted by the age. However, expressions to the elder and the young are different in Chinese. Meaning: All your wishes come true. Meaning: May everything goes the way you wish for. Meaning: Be happy and wear smiles every day. 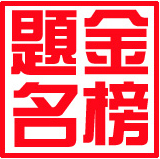 Meaning: Wish you be blessed by God of Fortune, God of Prosperity and God of Longevity. Meaning: Wish you good luck on everything that you are willing to do. 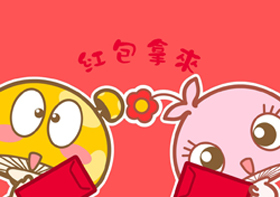 Meaning: May the new spring brings you good fortune. 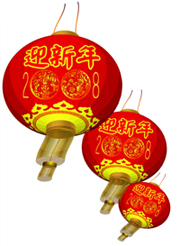 Meaning: I wish you happiness, luck and wealth in a new year. 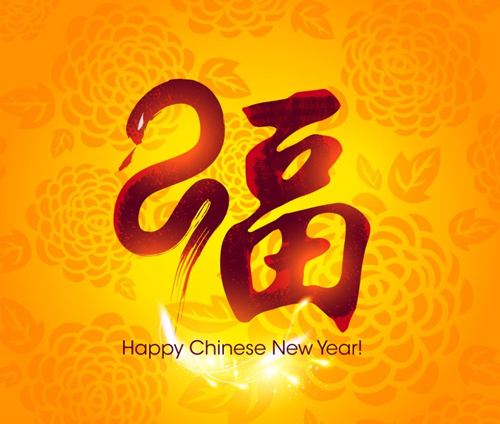 Meaning: Wish you prosperous in the new year. Please give me a red envelope! 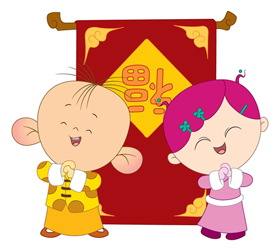 Note: On Chinese New Year, one of the most loved pastimes is exchanging “红包” (hóng bāo, red envelopes), also called “压岁钱” (yā suì qián, gift money), especially for kids. The gift is what adults give the youth during spring festival to bring blessings and good luck to them. Meaning: I wish you the best of your health. Meaning: Wish you be energetic. Meaning: Wish you be prosperous. Meaning: May you have abundant source of income and receive wealth and fortune. Meaning: May your business thriving. Meaning: May you make achievements in your career. Meaning: Wish your business flourishing. Meaning: May you have a good prospect in job promotion. Meaning: Wish you get promoted rapidly. Meaning: Wish you meet with success at the very beginning. Meaning: Make achievements on school work. Meaning: Make progress on studies. Meaning: Have a happy family. Meaning: Harmonious family brings good wealth. 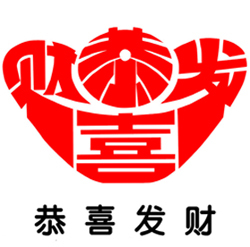 Meaning: Good luck for the year of Snake. Meaning: Wish you get rid of all mishaps. Note: It is often used when tea-things is broken during Chinese New Year, because “岁” (suì, each year) is a homophone for “碎” (suì, break). Meaning: Find your Mr. Right as soon as possible.